"Mt. Purgatory is set for dec 28-29. Budget is 2,000. Please confirm within the week. 10 slots only including me!" Another invitation from Pinoymountaineer which I just cannot decline. It feels good to be back at Baguio City, the chilly air of the early morning (5am when we arrived) makes me want to stay in a hotel and just sip a cup of brewed coffee. Somehow, namimiss ko na yung mga panahong mag rerelax lang sa isang trip. 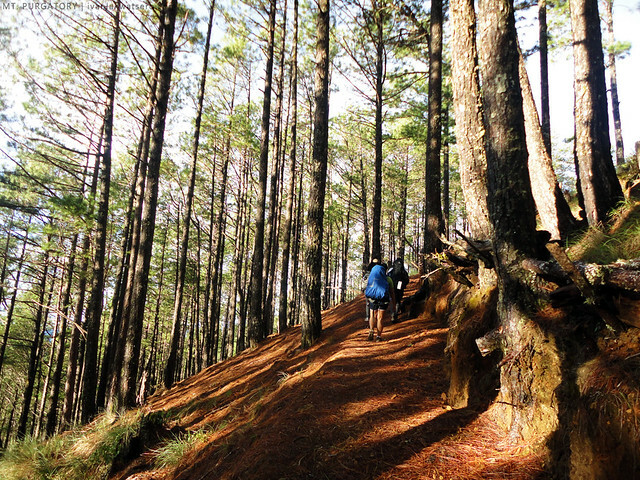 As much as I want to have a relaxed weekend here in the city of pines, my love for hiking overcame this feeling. 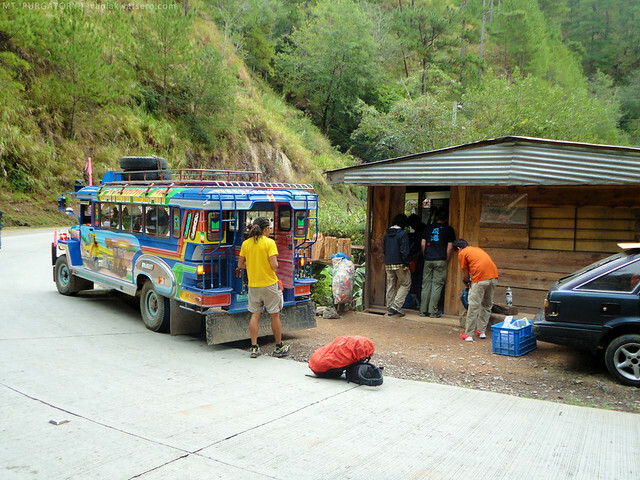 Our chartered jeep (c/o Ate Gina Epe) were already waiting to bring us to our year-end hiking destination. Two and a half hours after we left Baguio City (about an hour of it was spent at Pinkanjo Restaurant for breakfast, and the rest were spent on the road), we finally arrived at Japas jump-off. 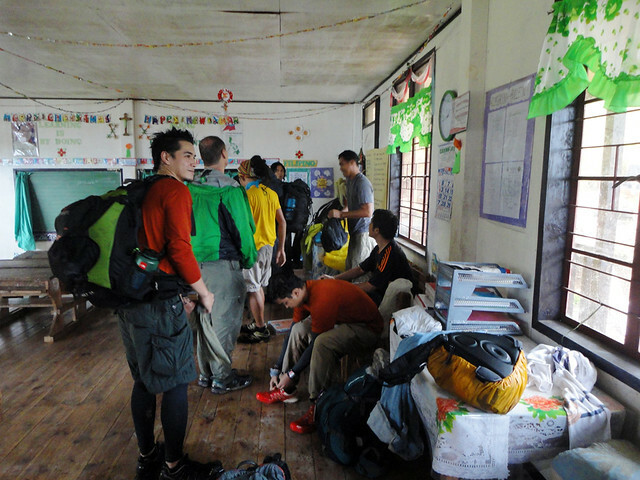 The time was 08:30am and we're all prepped and excited to hike another Cordillera mountain. As we arrived at the jump-off, I noticed the grey sky was getting darker. "Looks like it will be a rainy year-end climb for us," I told myself. 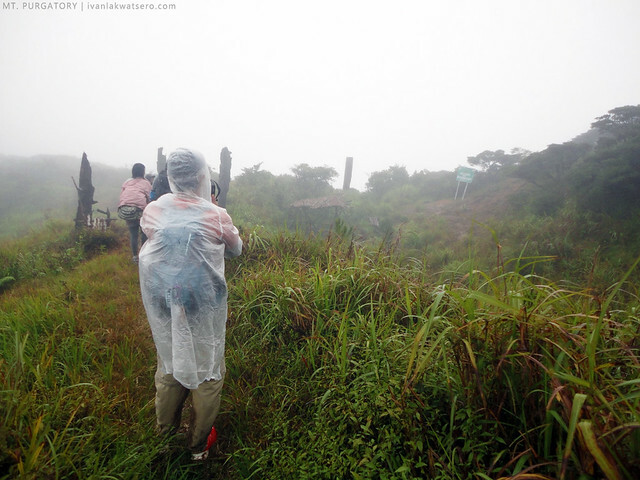 Then soon afterwards, it was drizzling (waahh, ayoko ng maulan na climb). 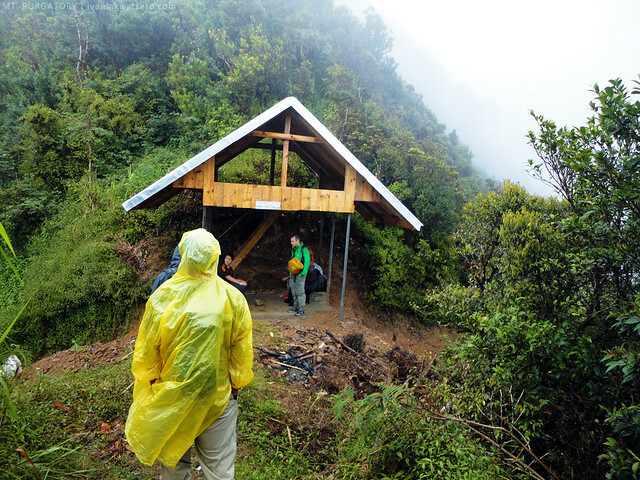 At 08:55 AM, after the get-to-know and prayer-before-climb sessions, our trek commenced. 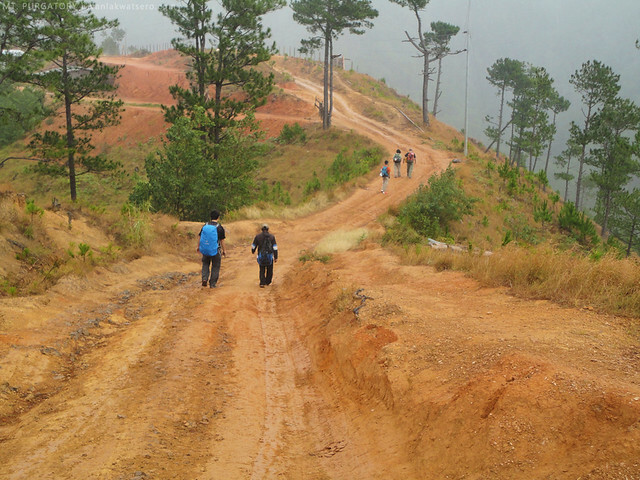 Wide trails, gradual ascends and pine forest make up the first leg of the trek. 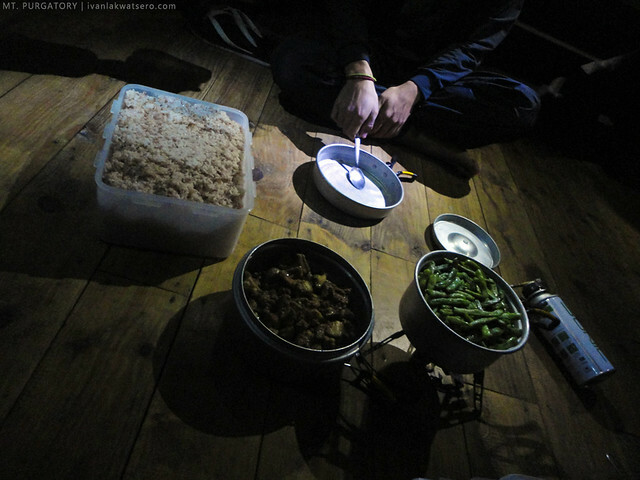 Several resting stations (waiting sheds) were also found along the way, and on one of these we had eaten our lunch. 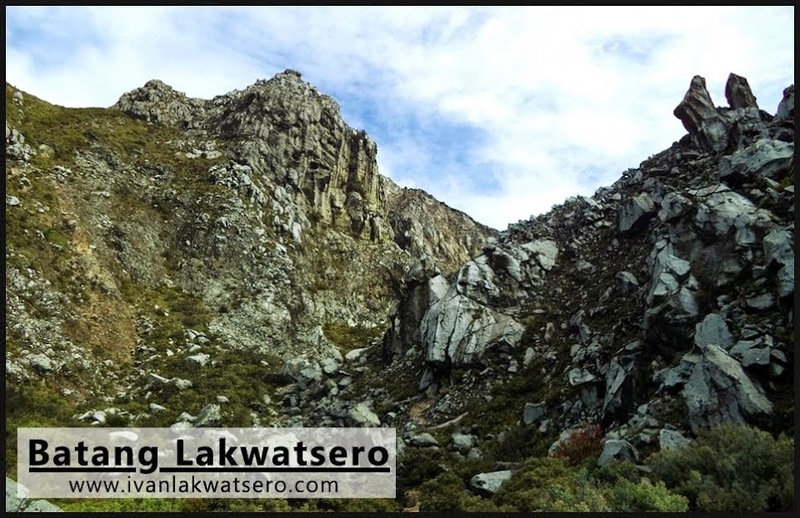 For three hours, we dealt on this easy trail which I believe can be done by starting mountaineers who want to experience the beauty of Cordillera mountains painlessly. 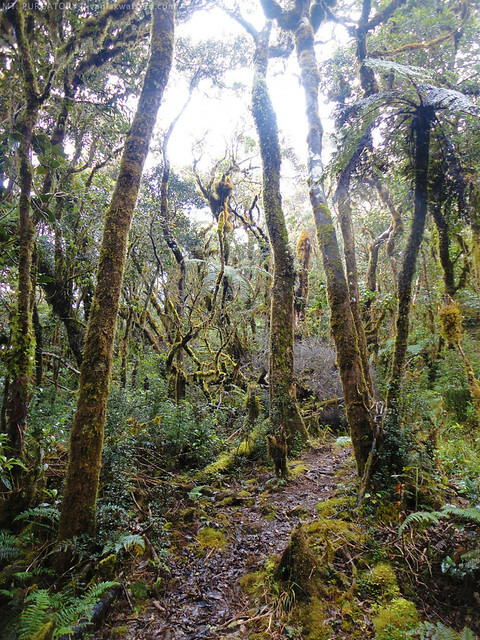 From a wide open trail, the environment switched to a mossy forest. 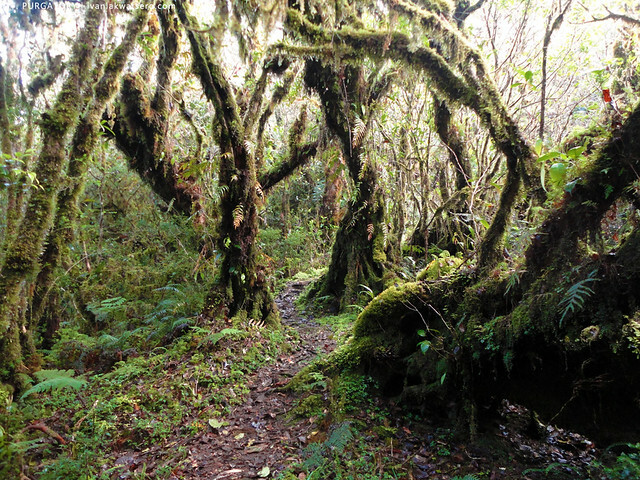 Oh men, I felt nothing but pure amazement from the moment we entered the mossy forest trail. My eyes opened wide and my mouth just won't stop saying the word "wow!" Perhaps it was my first time to actually enter such kind of trail. Kaya naman wala rin tigil ang pagpipicture ko here and there. Mosses of the plant group Bryophyta produces spores to propagate, and water is a fundamental element in the process. Thus, the greater the amount of moisture an environment harbors, the more favorable it becomes for these plants to increase its population. 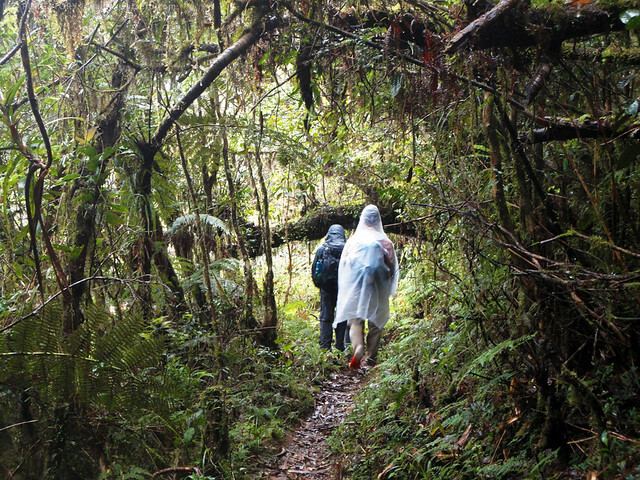 We reached a peak after about 30 minutes of trekking through the mossy forest. Mt. 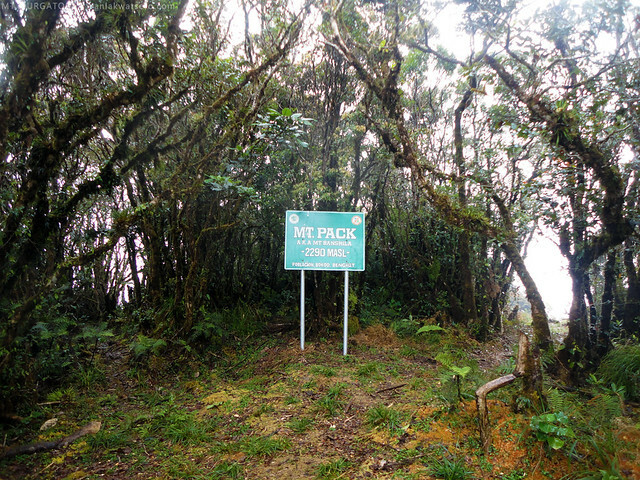 Pack (named after the American governor), standing 2290 MASL, is one of the summits on Mt. Purgatory trail. We did not spend too much time here though, after about 15 minutes break, we carried on with the trek along the mossy forest trail. From Mt. Pack's summit, it took us an hour to reach what was believed to be the summit of Mt. Purgatory. There was indeed a signage that says "Welcome to Mt. 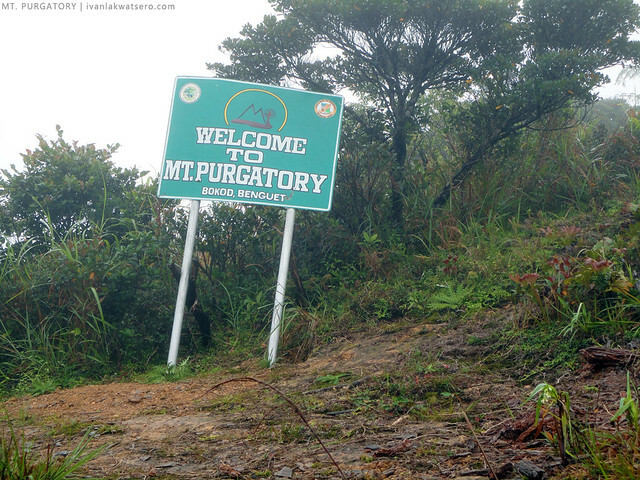 Purgatory", but the whole group was doubtful if it's really a peak since it seemed to be just part of Mt. Pack. the summit area is an open grassland. Those old pillars seen in picture are actually posts of the old tramline that transported logs. Yes, there was a once a flourishing log industry in the area. Rain poured again so we continued moving forward. Thirty minutes after, we reached Aponan Junction. It was very windy in the area (sobra akong nanginginig sa lamig) so we entered the fine-looking 2-floor shed. 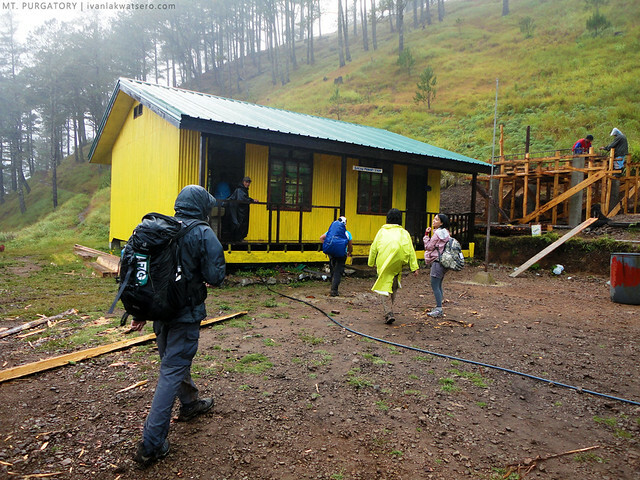 At Aponan Junction, we entered the shed to hide from the blowing cold wind. stayed here for about 10 minutes before continuing to Bakian Primary School. Following the slightly steep descending trail to the left, it took us only 20 minutes to reach Bakian Primary School, our shelter for one night. The single-room school was not big, but certainly enough to accommodate us all for a night. There's a proper water system in the area (faucet and sink), no electricity though. When I got inside the school, I did not bother going out again because it was extremely cold outside. I think I fell asleep, and when I woke up, it was already dinner time. After dinner and funny conversations, we called it a day. Hurrah, clear sky greeted us in the next day. Although it was chilly and a bit foggy, I know we're going to have a great hiking weather. While having breakfast, all I'm thinking was the view we might see with this perfect clear day. By 7 in the morning, we started moving again to finally end the traverse, this time through a beautiful pine forest. Just minutes from the time we started trekking, Mt. Sto. Tomas appeared on the horizon. I became ecstatic by what I've seen so I rushed further until once again great mountains appeared before me. Jaw-dropped at Mts. Timbac and Mt. Pulag, the 9th and 3rd highest mountains in the country. sobra akong naaliw nang makita ko ang mga bundok na ito. 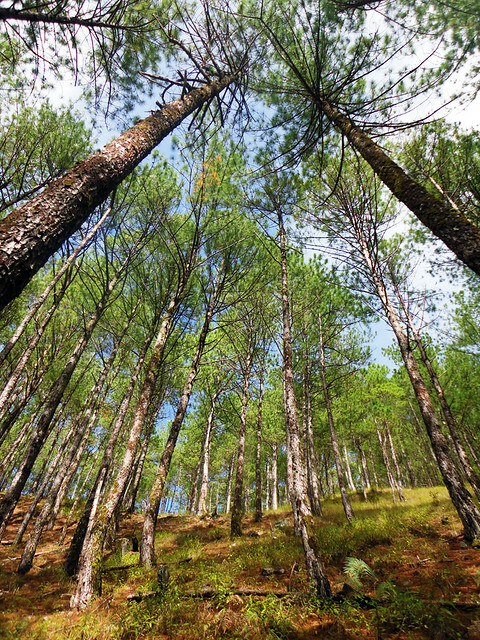 From the beautiful forest of pines we continued trekking through, again, a mossy forest (sa totoo lang, salit-salitan lang ang mossy at pine forest sa kabuuang trail at talaga naman sobrang ganda) until we hit Mt. 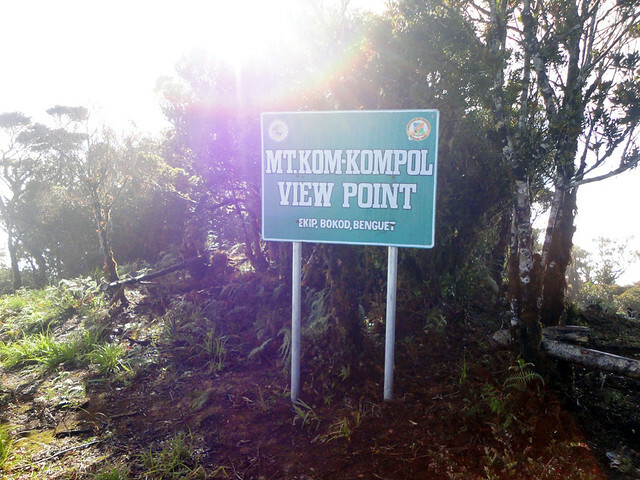 Komkompol Viewdeck. It became too foggy when we reached the area but we can clearly see Mt. Pulag from there, awesome! What followed Mt. 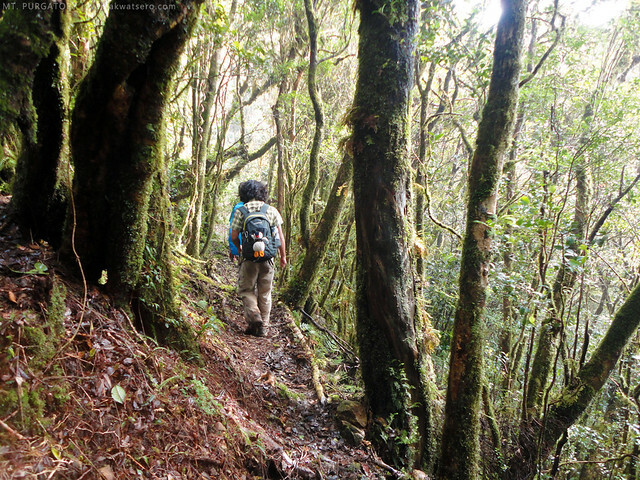 Komkompol viewdeck (2,329 MASL) was an alternating pine and mossy forest trails, both are beautiful and enchanting. My words and photos are not enough to describe the greatness of what I saw. This endless moss and pine trails lasted for about three hours so talagang naumay kami sa sobrang ganda ng mga view. At around 11:30 nn, we reached Ekip barangay hall. The sun was scorching hot so we rested here for about 20 minutes. I can see the weariness of the whole group but since we're still just an hour more to Pethal (where our trek was supposed to end) we started trekking again. 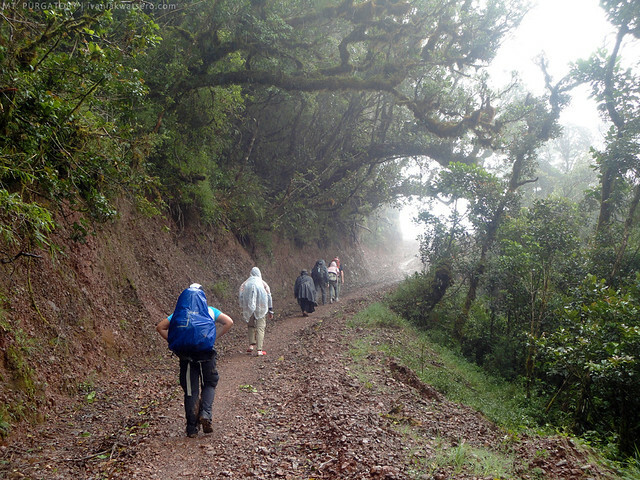 The final leg of the trek was along an open dirt road, sometimes loose rocks (similar to Mt. 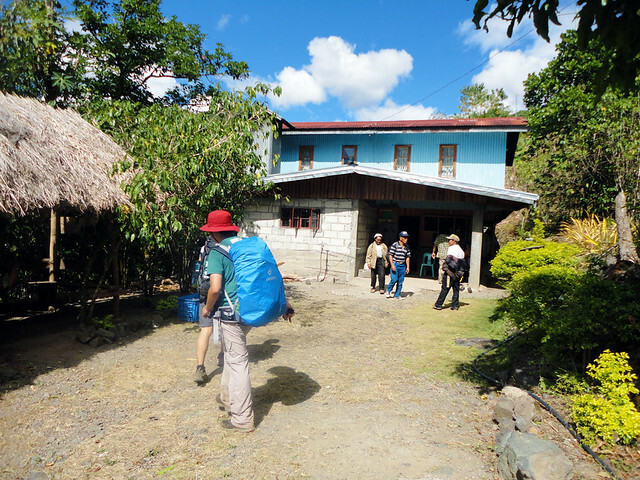 Ugo's final leg of trek to Itogon, actually most of the experience in this Mt. 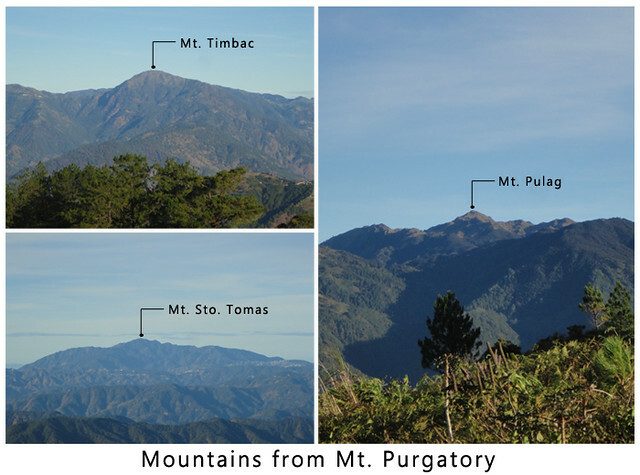 Purgatory traverse is very much alike Mt. Ugo). I was wearing slippers already when I took this final leg, sobrang sakit na kasi ng paa ko. rocky dirt road for the final leg. Pethal-Ekip border. done with my 31st mountain. And at 12:40 PM, we reached Pethal and finally completed the whole traverse. We ate lunch right away, because we're so hungry, dead hungry! We then waited for the arrival of our chartered jeep and in the next few hours, we're back in Baguio City, whew another beautiful mountain completed. 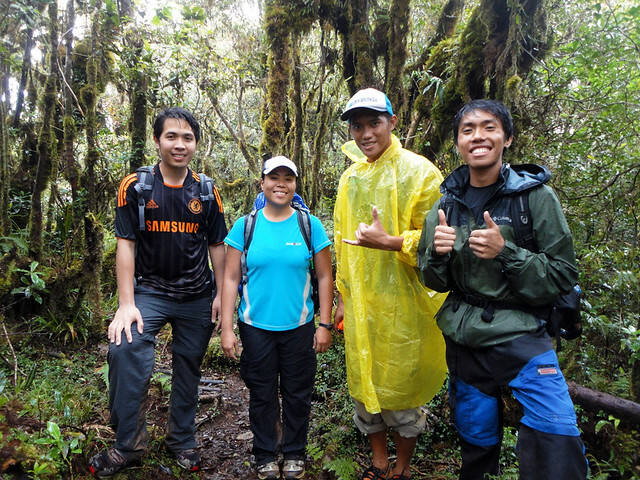 Our experience in the mountain was totally refreshing, indeed a great climb to end the year 2012 and to celebrate my 1st year in mountaineering. 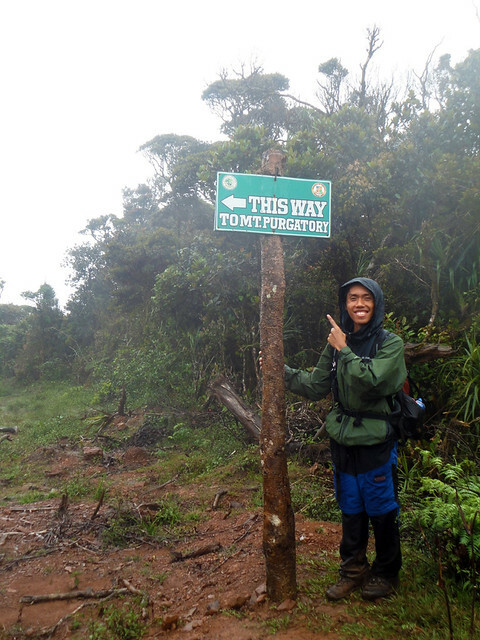 My big thanks to all my hiking companions in this climb especially Doc Gideon, Ate Tin, Kuya James, and Coby. 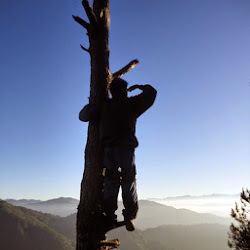 More climbs to come this 2013! 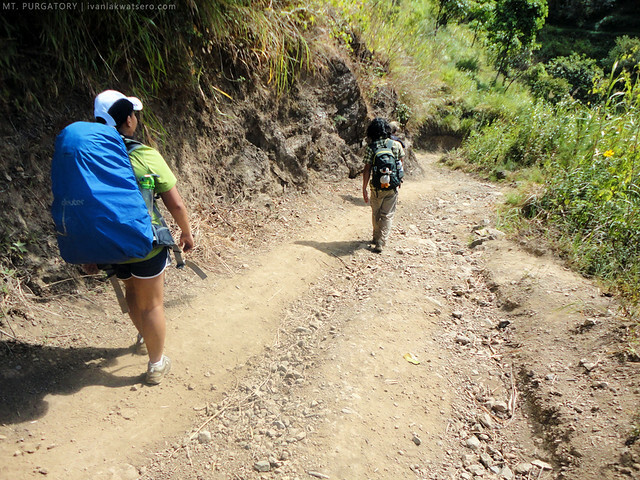 it was nice to climb with you "sir ivan"
actually sa simula't sapul, si doc tlga ang peg ko sa pag-gawa ng hiking blog. haha. hi, sana pwede makajoin sa mga hiking nyo.. thanks. 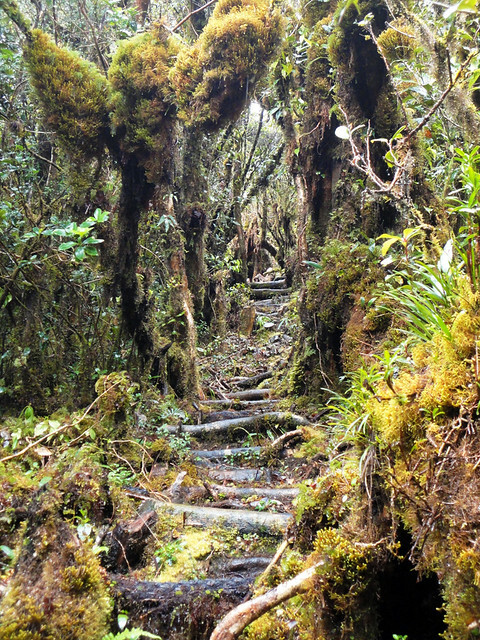 magkalapit lang kasi yung Pulag at Purgatory..
Ang ganda lang ng moss trail.. parang anlamiiiggg!